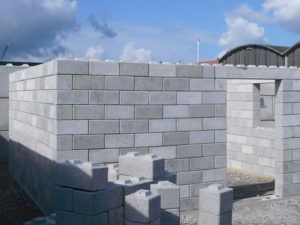 Building Homes From Plastic Bricks! Waste Product Homes Are The Future. What if things we throw away could be put right in a block maker, and turned into bricks? That’s beginning to happen in multiple ways! From plastic bricks made of recycle waste to machines that crush boulders and rocks into liquid cement, and make bricks, there are great things on the horizon! These blocks can be made in the same size as standard concrete blocks, though don’t have the same weight-bearing capabilities. The blocks do have good acoustic and thermal insulation properties, which ByFusion says makes them ideal for use in road projects or fill-in building frames. May be http://www.moladi.net can help you. Alex Park – Has This Chilean Architect Figured Out How To Fix Slums? Slum Stories: Turkey – Urban Renewal, But Who Is Going To Profit?